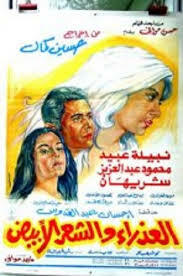 Dawlat decides to leave her first husband because he is unable to make help make a child due to his sterility. Then, she marries again, however they still have problems bearing their own children. She then finds out that she is sterile herself and the both of them have lost all hope. Then, Dwalat decides to go to adoption and brings in an orphan against her husband’s wishes. However, life becomes very complicated for this family because when the orphan grows up into a young woman, she falls in love with her adoptive father. El-Ghamry, Reem., Elkholy, Hussien., & Okasha, Tarek. “Overview of the Family Structure in Egypt and its Relations to Psychiatry.” International Review of Psychiatry. 24.2 (2012); 162-165. Print.